The two films have been released as a double feature, the 1982 film The Snowman along with the 2012 sequel, The Snowman and the Snowdog. In The Snowman, the little boy brings the snowman inside! 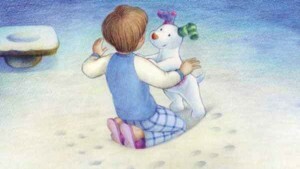 The snowman becomes curious and starts to mess with things around the house, he even starts messing with hot water and melts a little. 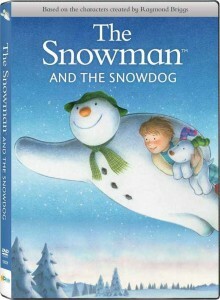 The snowman and little boy go on a flying adventure to a party where they meet Father Christmas. The sequel, The Snowman and the Snowdog, although very similar to the first, introduces a new boy who finds a snowman making kit. In this film, there is also a dog made from snow who accompanies the little boy and the snowman on an adventure.